Trending at $24.78eBay determines this price through a machine learned model of the product's sale prices within the last 90 days. Genuine HP MU06 CQ42 CQ43 Battery for 593553-001 593554-001 DM4 DV4 DV6 G72. MU06 MU06XL MU09 MU09XL. Compaq Presario CQ42-100 Series. Compaq Presario CQ42-200 Series. Capacity: 47WH Cell: 6 cells. Compaq Presario CQ43-200 Series. Trending at $21.79eBay determines this price through a machine learned model of the product's sale prices within the last 90 days. HS04 HS03 HSTNN-LB6U HSTNN-LB6V 807957-001 807956-001 807612-421. HP 240 G4 Series. HP 245 G4 Series. HP 246 G4 Series. HP 250 G4 Series. HP 255 G4 Series. HP 256 G4 Series. HP Notebook 14 Series. CM03XL CM03 CM03050XL. EliteBook 850 Series, EliteBook 850 G1 Series, EliteBook 850 G2 Series. EliteBook 845 Series, EliteBook 845 G1 Series, EliteBook 845 G2 Series. EliteBook 855 Series, EliteBook 855 G1 Series, EliteBook 855 G2 Series. 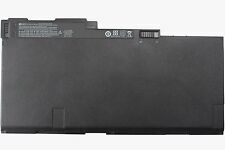 Genuine MO06 MO09 Battery for HP Pavilion DV4-5000 DV6-7000 DV6-8000 DV7-7000 671731-001. MO06 MO09 671567-421 671567-831 671731-001 672326-421 672412-001 HSTNN-LB3P HSTNN-LB3N HSTNN-YB3N TPN-P102 TPN-W106 TPN-W107 TPN-W108 TPN-W109. (OA03 OA04 HSTNN-LB5Y HSTNN-LB5S HSTNN-PB5Y. HP CQ14 CQ15. HP Compaq Presario 15-h000. HP Compaq Presario 15-S000. Battery Type: Li-ion. Before place the order.it can't be changed if order completed. excluded.). 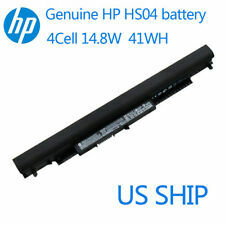 Genuine OEM New KI04 Battery for HP Pavilion 14-ab000 15-ab000 17-g000 series 17-G121WM 800049-001. KI04 HSTNN-DB6T HSTNN-LB6S TPN-Q158 TPN-Q159 TPN-Q160 TPN-Q161 TPN-Q162 800009-241 800010-421 800049-001 800050-001. 100% Genuine HP OEM guarantee. Satisfaction Guarantee. HP Notebook 15-BS 17-BS 15Q-BU 15G-BR 17-AK 15-BW 15Q-BY Series. Battery Type: Li-ion. For use a new battery, you’d better try a few cycles of discharging to 5%, then charging up to 95%. Compatible Part Numbers. Capacity: 47WH. HP G42-100 Series. HP G42-200 Series. HP G42-300 Series. HP G42-400 Series. HP G42t Series. HP G56-100 Series. HP G62-100 Series. HP Pavilion 17T-G000; HP Pavilion 17T-G100; HP Pavilion 17Z-G000; HP Pavilion 17Z-G100. 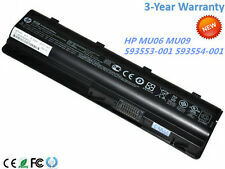 HP Pavilion 14-AB000, 14-AB100, 14-ab000, 14-ab100 14T-AB000, 14T-AB100, 14t-ab000. HP Pavilion 15-AB000, 15-AB100, 15-AB200, 15-AB500, 15-AK000, 15-AK100NE, 15-ab000au, 15-ab100TX, 15-an001TX, 15-an001la, 15-an002TX, 15-an003TX, 15-an004TX, 15-an005TX, 15-an006TX, 15-an007TX, 15-an008TX, 15-an009TX, 15-an010TX. HSTNN-UB5N HSTNN-Y5BV HSTNN-YB5M J1V00AA LA04 LA04041-CL. HP Pavilion 14 TouchSmart Series. HP Pavilion 15 TouchSmart Series. HP Pavilion 14 Series. HP Pavilion 15 Series. HP 248 Series. HP 248 G1 Series. MU09 NBP6A174 NBP6A174B1 NBP6A175. HSTNN-Q64C HSTNN-UB0W HSTNN-YB0X MU06. Pavilion g6-1000 Pavilion g6-1000sa Pavilion g6-1002sg Pavilion g6-1003tx Pavilion g6-1004sa. Presario CQ56. Presario CQ42. Pavilion dv5-2034la Pavilion dv5-2045la Pavilion dv5-2046la Pavilion dv5-2129wm Pavilion dv5-2130us Pavilion dv5-2132dx Pavilion dv5-2134ca Pavilion dv5-2134us Pavilion dv5-2135dx Pavilion dv5-2138ca Pavilion dv5-2144ca Pavilion dv5-2155dx Pavilion dv5-3000 Pavilion dv5t-2100 CTO. VI04 VI04048 VI04048-CL G6E88AA G6E88AA#ABB. ProBook 440 G2 Series. ProBook 445 G2 Series. ProBook 450 G2 Series. ProBook 455 G2 Series. HP HSTNN-DB6I HSTNN-DB6K HSTNN-LB6J HSTNN-LB6K. Genuine Battery, Money back guarrantee， 3 year warranty. Trending at $20.49eBay determines this price through a machine learned model of the product's sale prices within the last 90 days. KI04 KI04041-CL. HP Pavilion 14-ab000~14-ab099. HP Pavilion 15-ab000~15-ab099. HP Pavilion 15-ag000~15-ag099. HP Pavilion 17-g000~17-g099. HP Pavilion Gaming Notebook - 15-ak000nia (ENERGY STAR) (K3E42EA). Genuine New VI04 Battery for HP 756743-001 756745-001 756744-001 756478-421 15-k000-k099. ProBook 440 G2 Series. ProBook 445 G2 Series. ProBook 450 G2 Series. ProBook 455 G2 Series. HP Envy 14 Series Envy 14-v000 - v099 Envy 14-u000 - u099. Genuine HP PI06 710416-001 Pavilion 14-E000 15-E000 15t 15z Battery10.8V 47WH. 709988-421 709988-541 709988-851 709989-421 710416-001 710417-001 887758452578 H6L38Aa H6L38Aa#Abb Hstnn-Db4N Hstnn-Lb4N Hstnn-Lb4O Hstnn-Ub4N Hstnn-Yb4N Hstnn-Yb4O P106 Pi06 Pi06Xl Pi09 Tpn-L110 Tpn-L111 Tpn-L112 Tpn-Q117 Tpn-Q119 Tpn-Q120 Tpn-Q121 Tpn-Q122. Compaq Presario CQ43. MU06, MU06XL, MU09, MU09XL, NBP6A174. Compaq Presario CQ42. Compaq 435 Notebook PC. Compaq 436 Notebook PC. Compaq 650 Notebook PC. Compaq 655 Notebook PC. Cell: 6-Cell. NP03XL HSTNN-LB6L 760944-421. Capacity: 43Wh. Battery Type: Li-ion. 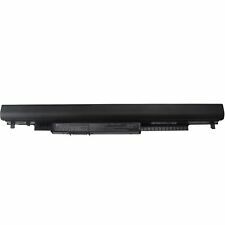 Genuine KI04 Laptop Battery For HP Pavilion 14/15/17-AB000 HSTNN-LB6S 800049-001. K104, K1O4, KI04, KIO4. Pavilion 14-ab011TX Pavilion 14-ab012TX Pavilion 14-ab013TX Pavilion 14-ab005TU Pavilion 14-ab006TU. 671567-421, 671567-831, 671731-001, 672326-421,672412-001, HSTNN-LB3P, HSTNN-LB3N, HSTNN-YB3N,MO06, MO09, TPN-P102, TPN-W106,TPN-W107, TPN-W108, TPN-W109. 11.1V 62WH. Pavilion DV7-7099. Pavilion DV7-7000 Series. HS03 HS04 HSTNN-LB6U HSTNN-LB6V. HP 240 G4 Series. HP 245 G4 Series. Genuine Battery, Money back guarrantee， 3 year warranty. HP 246 G4 Series. HP 250 G4 Series. HP 255 G4 Series. HP 256 G4 Series. 1.ONLY SHIP TO USA 2.TO SHIP TO USA ADDRESS VIA USPS WAY 3.A cells ensure fast charges and low power consumption; Built-in circuit protection ensures both safety and stability Item Description Battery Condition: Brand New,100% OEM Original Battery Type: Li-ion Voltage: 15.2V Capacity: 48Wh Cell: 4 Cell Color: Black Warranty : 1 year Compatible Part: K104 HSTNN-DB6T HSTNN-LB6R HSTNN-LB6S TPN-Q158 TPN-Q159 TPN-Q160 . Genuine Battery, Money back guarrantee， 3 year warranty. HP Compaq Presario 15-h000. HP Compaq Presario 15-S000. Battery Number: 3Cells. Cell Type: Li-ion. Fit Models. Capacity: 5200mAh. Compaq 435 Notebook PC. HP 2000 Notebook PC. Compaq 436 Notebook PC. HP 2000z-100 CTO Notebook PC. HP 430 Notebook PC. HP 431 Notebook PC. HP 435 Notebook PC. 1.We only sell in the United States 2.The USPS Express delivery to your position of America! 3.Any questions please contact us at any time。 Product Description Genuine original battery Battery Type: Li-ion Voltage: 7. Trending at $44.99eBay determines this price through a machine learned model of the product's sale prices within the last 90 days. 1.ONLY SHIP TO USA. 2.TO SHIP TO USA ADDRESS VIA USPS WAY! Product Description Colour: Black Type: Li-ion Voltage: 14. NP03XL HSTNN-LB6L 760944-421 TPN-Q146 TPN-Q147 TPN-Q148 TPN-Q149. HP Pavilion X360 13-A010DX. To find the right battery you want ,you should check as the following first: 1. If you original laptop model or battery model ( Write on the front of your battery )is in our compatible list. OEM battery for HP Envy dv4, Envy dv6, Envy m6 MO06 6 cell 671567-151. MO06 MO09 TPN-P102 TPN-W106 TPN-W107 TPN-W108 TPN-W109. HP Pavilion dv4 Series. HP Pavilion dv6 Series. HP Pavilion dv6t-7000 CTO. NP03XL HSTNN-LB6L 760944-421 760944-541 761230-005 3ICP6/60/80. HP Pavilion x360 11-k047TU （ M7Q92PA ）. HP Pavilion x360 11-k048TU （ M7Q93PA ）. HP Pavilion x360 11-k049TU （ M7Q94PA ）. HP Pavilion x360 11-k050TU （ M7Q95PA ）.